We looked at the top 10 Alarm Clocks and dug through the reviews from 124 of the most popular review sites including Tuck, Top Ten Review Pro, Gadget Viper, New York Times Wirecutter, Runner Click, Seek for Best and more. The result is a ranking of the best Alarm Clocks. Our experts reviewed the top 10 Alarm Clocks and also dug through the reviews from 124 of the most popular review sites including Tuck, Top Ten Review Pro, Gadget Viper, New York Times Wirecutter, Runner Click, Seek for Best and more. The result is a ranking of the best of the best Alarm Clocks. If you've struggled to see the display on your alarm clock, the American Lifetime Digital Alarm Clock is the perfect one for you. You'll get large text and information that includes the time, day of the week and general part of the day. You can also set reminders throughout the day to make sure you don't forget to take your medication. DWYM Electronics Experts plus Jen Reviews, BestReviews, CNET, 5 Product Reviews. Along with user reviews from Amazon and Walmart.
" The display clearly spells out the day of the week, followed by the time of day (for example: “MORNING”), followed by the exact hour in numerical form. Underneath, the month is written out, followed by the date and year in..."
This simple, easy-to-use alarm clock is one of the most affordable on the market. You can customize the brightness to keep your room dark while you sleep. You'll also get convenient buttons, including a wide snooze button that will be a big help during those groggy early waking moments. DWYM Electronics Experts plus New York Times Wirecutter, PC Magazine, 5 Product Reviews, The Consumer Guide, Indenpendent. Along with user reviews from Amazon and Walmart.
" The least expensive alarm clock we reviewed is also the easiest to operate, with minimal controls, a big, bright display, and reliable alarm features." "This LED-based digital alarm clock from RCA isn't quite as retro as the analog model above"
The Philips Wake-Up Light Alarm Clock uses simulated sunlight to gradually rouse you from sleep. Thirty minutes before your desired wake-up time, the clock begins to glow, giving you the effect of waking during sunrise. You can also use this alarm clock as a reading lamp at night. It will gradually dim to help you fall asleep. DWYM Electronics Experts plus Tuck, Top Ten Review Pro, Gadget Viper, New York Times Wirecutter, Runner Click, Seek for Best and 3 more. Along with user reviews from Amazon and Best Buy.
" The sunrise setting in the Philips Wake-Up Light is also highly advanced, transitioning from red to orange to bright yellow." "Although it’s a beautiful alarm clock, it lacks multimedia/aux/USB support (although it has an FM Radio) and is not recommended for deep-sleepers or college students." The design of the iHome Bluetooth Color Changing Dual Alarm Clock is like no other. It offers a round display and five different colors that can change at the press of a button. You'll also get Bluetooth connectivity, allowing you to play music from your smartphone and even wake to your favorite songs. The reasonable price makes this a great option for budget-conscious consumers who want something unique. DWYM Electronics Experts plus New York Times Wirecutter, T3, 10 Techy, Popular Mechanics, Top Ten Reviews, Digital Trends and 3 more. Along with user reviews from Best Buy and Amazon.
" Of the six clock radios we tested, the iHome iBT29 had the best sound and best reception. It also had more extras than any other clock radio at this price, including Bluetooth wireless streaming, multicolored lights, a USB port for..."
"Unreliable for long-term utilization, there are several complaints about the product’s quality. According to them, the product does not last a year or more as needed." We identified the majority of the alarm clocks available to purchase. 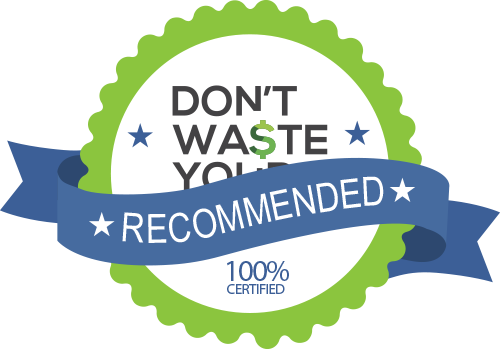 Reviews from our DWYM category experts and analysis of some of the most respected sources including: Tuck, Top Ten Review Pro, Gadget Viper, New York Times Wirecutter, Runner Click. We also incorporate user reviews from the leading retailers including Amazon, Best Buy, Walmart, Home Depot. For the Alarm Clock category, we analyzed 124 of the most popular reviews including reviews from Tuck, Top Ten Review Pro, Gadget Viper, New York Times Wirecutter, Runner Click, Seek for Best and more. The result is a ranking of the best Alarm Clocks.